It’s National Veteran Small Business Week! It’s National Veteran Small Business week celebrating active military, veteran, reserve member, national guard, and military spouse entrepreneurs. The IVMF is celebrating by proudly showcasing some veteran-owned business including some that were created by graduates of IVMF’s own programs. The Idea: Learning through her personal struggle to express herself after the military, Tanya Bryant wanted to empower the personal brand image of other business women. The Startup: She helps business women to enhance their personal brand image so they can express who they are in their industry by using the power of color, so they look and feel confident when presenting their business. The Impact: Today, as a published author, she is the owner of Just Lovely Living, LLC and founder of Just Lovely Lipstick. The Idea: Talented military spouses were without work because there was no way to connect them to employers and then manage them remotely…Basically, these military spouses had the idea to connect companies with the “mad skills” of military spouses! The Startup: MadSkills creates and manages remote workforces for companies. Their method of remote team creation and delivery has several components that are designed to ease the pain of finding talent and maintaining a remote workforce. 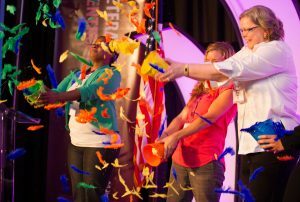 These military spouse entrepreneurs are graduates of IVMF’s V-WISE program. The Impact: Since their launch in fall of 2016, they’ve worked with over a hundred companies to narrow in on what quality delivery of a talented remote teams means. The Idea: David Sharpe saw that 22 veterans commit suicide every day, and 1 shelter dog is euthanized every 8 seconds. Sharpe’s idea was to pair the two together and allow them to save each other. The Startup: Companions For Heroes (C4H) is a service that connects veterans with shelter dogs and cats. C4H increases public awareness of Post Traumatic Stress Disorder (PTSD), traumatic brain injury (TBI) and other challenges confronting our country’s heroes; and rally’s support for animal welfare and the adoption of shelter and/or rescue animals. The Impact: Through the companionship of their dogs experience reduced incidents of alcoholism, drug abuse, depression and suicidal thoughts. And better able to care for themselves and their families. The Idea: Childhood development is hard for kids with disabilities, but much easier through the tool of play. The Startup: Bravery Kids Gym — located in Fayetteville, North Carolina, is an inclusive indoor play facility that offers a fun, safe and stimulating learning environment to promote childhood development through play. 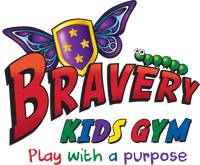 Bravery Kids Gym is structured around four key fundamental aspects of development: social interaction, physical (sensorimotor, fine and gross motor), cognition, and communication. Bravery is geared towards the development and therapeutic needs of children with special needs as well as typically developing children. The Impact: Creating meaningful growth in children of all ability levels. The Idea: During downtime between deployments overseas in Iraq and Afghanistan supporting combat operations, Matt Butler conceptualized Rollors, a yard game that blended Bocce ball, horseshoes, and lawn bowling. The Startup: Matt saw many local veterans out of work that had the resident woodworking skills that helped spark the light bulb onto a means to help them. He then decided he wanted to employ local veterans to help construct the wooden disks and wooden, cone-shaped targets used in the game. The Impact: Rollors has turned into an award-winning and unique game which is revolutionizing beach and backyard fun, while providing employment to veterans.